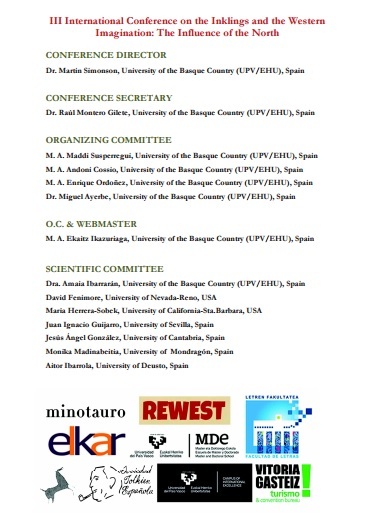 International Conference on the Inklings: Second day at the conference and closing. Second and last day of the conference passed! 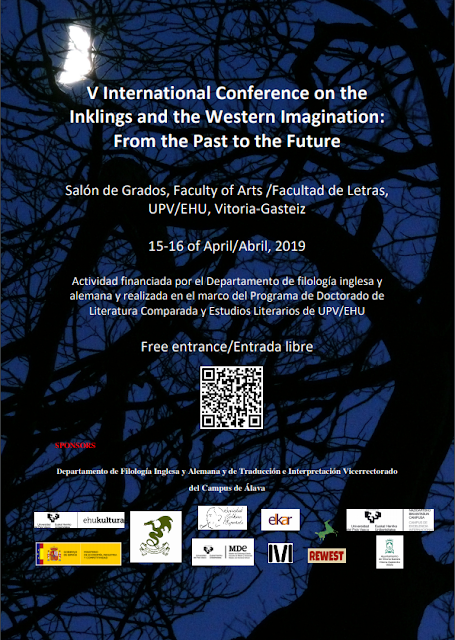 Yesterday started with a small panel in which the PhD program students Andoni Cossío, Maddi Susperregi and Ekaitz Ikazuriaga presented their papers regarding The Inklings and also Harry Potter. This panel was followed by the paper presented by Dr. Eduardo Segura who gave a speech about the importance of the art and the immortality of the elves englobing J. R. R. Tolkien's works. 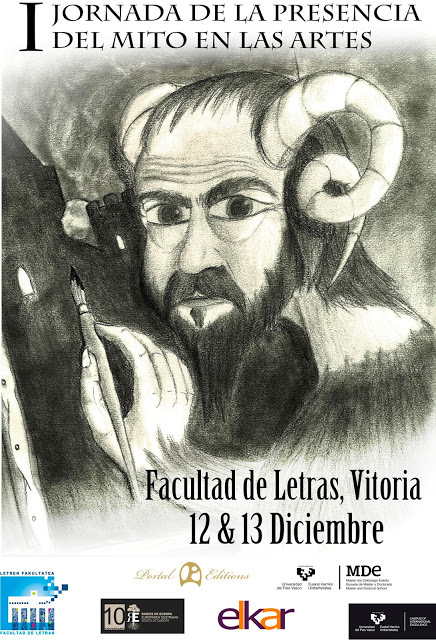 In a second round, the former scholar of the faculty Dr. Miguel Santamaría presented his paper on the translation of J. R. R. Tolkien's works into Spanish. For the beginning of the afternoon, Dr. Sara Molpeceres presented her paper regarding the myth in C. S. Lewis' works, followed by Dr. Miguel Ayerbe who pointed out the topic of Death in the medieval works in his presentation. Finally after a short break for coffee, the congress continued with a round table with all the participants (exept Dr. Ayerbe and Dr. Molpeceres). In this session, our guests debated about the topics presented between the two days of congress and put ideas in common. To conclude with the congress, Dr. Raúl Montero and Dr. Martin Simonson thanked all the participants of the congress. The day ended up with a guided tour around the old town of Vitoria-Gasteiz to know more about its gothic background and visit some interesing points of this beautiful city. You are invited to send any picture you may want to share with us to eajm.projects@gmail.com. In case you would be interested in watching the videos of the conferences, here we will offer you the chance of watching them as soon as the UPV/EHU upload them.